SHOP. PLAY. WORK. DINE. LIVE. Experience the best Northwest Ohio has to offer in 200 city blocks. The energy in downtown Toledo is homegrown. With a historic art community, two professional sports teams, 3 million annual visitors, 2,500 residential units, business opportunities big and small and over 70 restaurants, this is where people who love the Glass City come to live, work and play. Downtown Toledo delivers on every front. So plan your trip or plan your move. Either way, plan to stick around. There’s always something on deck, on ice or on tap in Toledo. And you won’t want to miss a single moment. The riverfront will be rocking again this summer with outdoor concerts on select Fridays in Promenade Park! The summer concert series includes performances from Bret Michaels, Martina McBride, Chaka Khan, Diana Ross and more! The farmers at the Market are as diverse as the customers who shop there. Produce is a mainstay of the Market, but you can also find bread, baked goods, flowers, herbs and much more. Market winter hours are 9 a.m. to 1 p.m. on Saturdays. The largest urban Jeep festival is back! Toledo Jeep Fest is taking over the streets of downtown once again this August 9-11. The festival will feature a Jeep parade and an all-Jeep exhibit in the SeaGate Centre. See all there is to see. Do all there is to do. Use this map to discover something new and special. 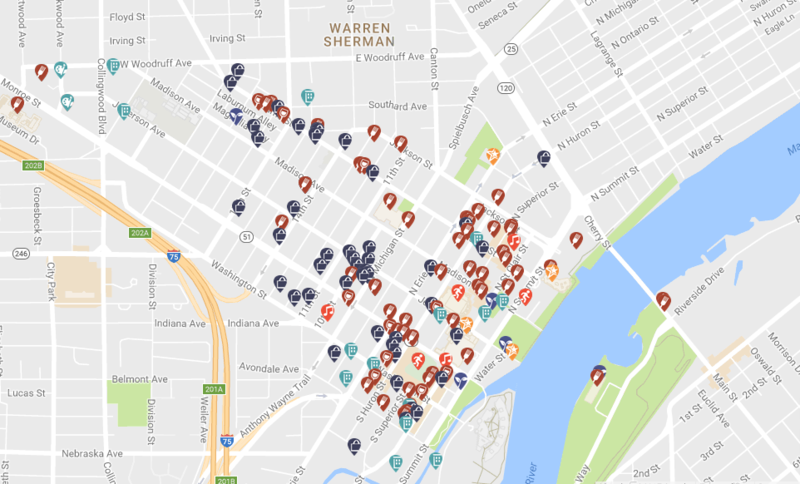 Downtown Toledo, Invest in Tomorrow. Hear from our community leaders about why now is the time to invest in the growth of Toledo!